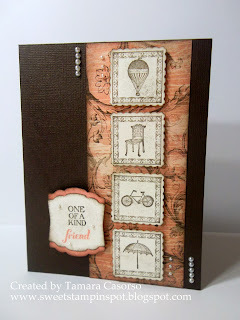 Sweet Stampin' Spot: AYSI Challenge #007 - A Little Vintage..
AYSI Challenge #007 - A Little Vintage.. 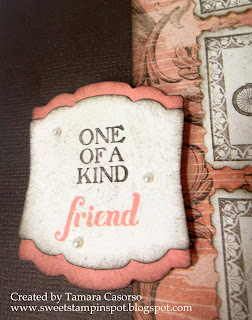 I love vintage style cards, but I find them overwhelming at times. This week's AYSI Challenge sketch really helped me to break it down. I hope I've captured a vintage look. These little images are from a hostess set and I love how fancy they are. 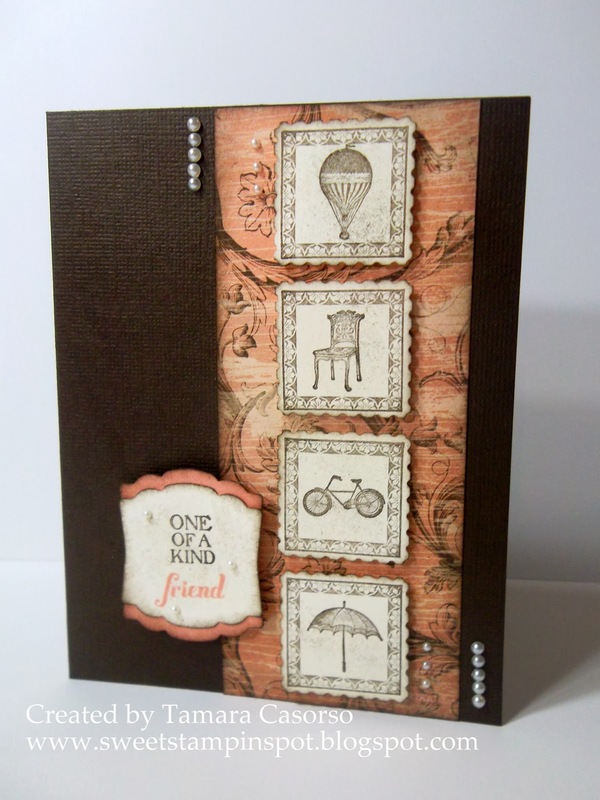 The chair with it's ornate legs, the old style hot air balloon, and especially the parasol. Cute and vintage. I punched them out with the Postage Stamp punch and then lightly sponged the edges with Early Espresso ink. I also dabbed the sponge on the panel to distress it a little. I found the Very Vanilla was just too stark without it. The pretty DSP is from Soho Subway designer series paper. I also sponged these edges with Early Espresso classic ink. I'm really loving the shape of the Artisan punch. It's feminine and a little flirty. I thought the pearls added a bit of whimsy. I also tend to be pretty stingy with my pearl usage so I kind of broke out of that with this card and used a few extra more that I've ever used before! It was fun! It doesn't hurt that Basic Pearls are one of the Weekly Deals this week! Check out the daily deals here. Enjoy your weekend and don't forget to play along with us at As You See It Challenge! 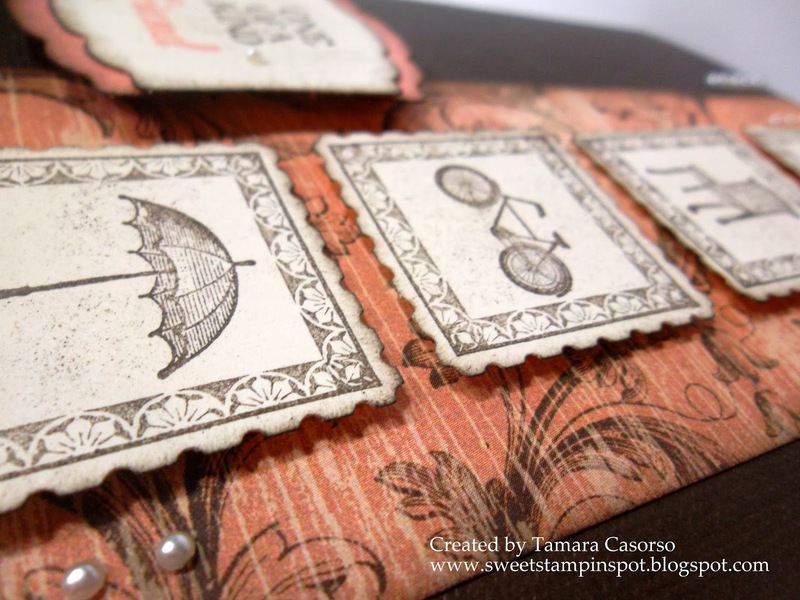 This is a gorgeous card, Tamara! A real work of art! 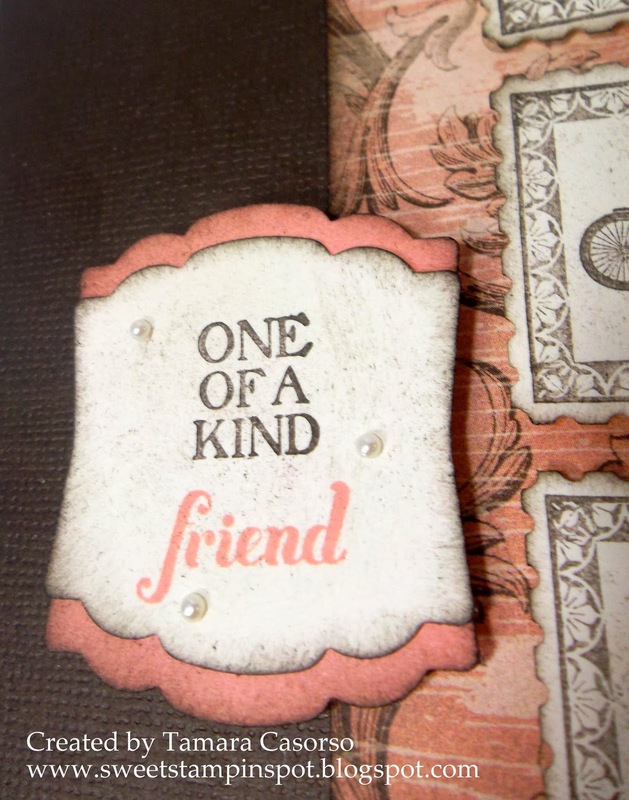 I love the colour combo and the vintage images! I love that DSP, but just wasn't sure how to use it. You did it perfectly! Beautiful card, Tamara! I really like this sketch flipped on its side, too.